Porsche has finished the 2018 FIA GT World Cup in Macau (China) on fourth place. In a fiercely contested race on the Guia Circuit, works driver Earl Bamber (New Zealand) narrowly missed out on claiming a podium spot. Porsche Young Professional Mathieu Jaminet (France) concluded his maiden outing in the Asian gambling paradise on position seven, while his Craft Bamboo teammate Darryl O’Young crossed the finish line in 14th. After being shunted out of contention by another competitor, works driver Laurens Vanthoor was unable to take part in the race. 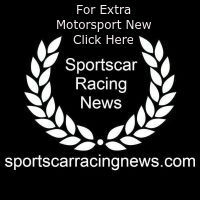 His 500 hp Porsche 911 GT3 R had been too badly damaged by a crash into the barriers. Shortly after the start, Bamber launched a pursuit of the leaders, but found insufficient space to overtake. Instead, the New Zealander safeguarded his tyres in preparation for the final stage of the ca. 110-kilometre race over 18 laps. This strategy paid off. In the closing phase, Bamber was the fastest driver on the 6.115-kilometre racetrack. However, the narrow street circuit left no room for a successful attack on the leading vehicles. At the flag, the two-time Le Mans winner was just 1.460 seconds of claiming a podium place with the No. 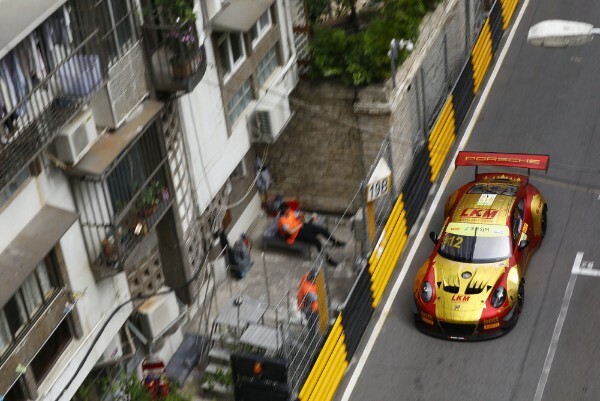 912 Porsche 911 GT3 R.
Jaminet concluded his Macau debut with a strong and flawless drive in the main race. The Frenchman made up two positions in the vehicle fielded by the Porsche customer team Craft Bamboo Racing – a feat no other driver managed to achieve. His teammate Darryl O’Young (Hong Kong) crossed the finish line in 14th in front of home crowds.